The user-friendly website has applications for advisors looking to improve service and attract new clients. When Abby Schneiderman and Adam Seifer founded Everplans in 2010, they had no intention of creating what could be the best marketing tool for financial advisors ever. Instead, like many great ideas, they were responding to a need that they stumbled on in their personal lives. However, when she started looking for resources that could help consumers “with the other end of life — estate planning” — she couldn’t find any. The result was a revamped Everplans site that provides education and guidance about what makes up a good legacy plan. A comprehensive legacy plan includes a staggering amount of information that most of us wouldn’t think of: where to find bank accounts and insurance policies (e.g., in the bottom left drawer of my home office desk), how your home security alarm works, how to inform your children of your passing, what and when to feed your dog. In addition to all this information, Everplans also allows users to designate “deputies”: family members, friends, attorneys, financial advisors, etc., who are assigned various responsibilities with specific written instructions. Deputies’ access can be limited to specific areas in the Everplans account. All of this is explained in a “just in case” letter sent to one’s deputies at the appropriate time. It’s an amazingly comprehensive site and surprisingly user-friendly. At $75 a year, it’s a real bargain for folks at every level of wealth. As most advisors know, planning for one’s demise is not something that many people are eager to undertake. Schneiderman and Seifer had a brainstorm: What about marketing Everplans through professionals who are already having estate planning conversations with their clients? About 18 months ago, they started marketing Everplans to financial advisors on a professional platform. Firms license Everplans for between $2,500 and $3,500 a year, and can give an unlimited number of clients access to the site. Advisors are free to charge their clients for the service, and each Everplans advisor account is co-branded with the firm’s title and logo. Every deputy listed on the plan is also notified that the plan was provided courtesy of the advisory firm. From the beginning, Schneiderman and Seifer understood that Everplans would have multiple benefits for financial advisors. 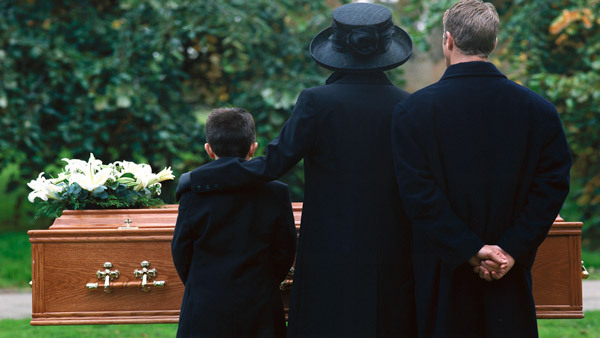 It provides an easy-to-use and well-structured platform for collecting estate planning and end-of-life information. It creates a tangible high-quality, value-added service that clients are likely to talk about with their friends. It enables advisors to initiate often difficult estate planning conversations. Finally, if the client allows it, it can provide advisors with a broader picture of his or her total assets. Because the deputies of existing clients are exposed to the benefits of Everplans, and can be offered a free Everplans account of their own at the sponsoring firm’s discretion, it’s pretty easy for advisors to have conversations with them about becoming clients of the firm. As is the case with most great ideas, Everplans created a beneficial application that its creators did not foresee. It’s recently come to Schneiderman’s attention that Everplans is being used by enterprising advisors to market their services to potential new clients, as well as their current client base. They provide free Everplans accounts to prospects, and some even conduct seminars in which they demonstrate the use and benefits of the Everplans platform. According to Schneiderman, some of these advisors have 200 or more prospects using Everplans. Some firms that offer Everplans accounts designate an advisor or a senior staffer as an expert to help clients and prospects set up and use their plans. (Everplans provides training on their platform for advisors and their staff.) Advisors can get “edit” rights from their clients, which allows them to fill out some sections from their existing client files. Other firms invite clients and prospects who would prefer to come into their offices and have an advisor create their Everplans, while the client provides information and makes the necessary decisions. According to Schneiderman, the sponsoring advisor gets “high-level” access to clients’ and prospects’ use of Everplans: what sections they have worked on and their progress as a completion percentage. “This creates another reason to contact a client or a prospect: ‘I see that you last logged in two weeks ago,’ or ‘I see that you haven’t completed the will section; Do you need any help?’” Schneiderman said. Everplans started out as a way to simplify end-of-life issues for one’s survivors, but it’s emerging as much more than that. The platform’s low cost, combined with its virtually universal application, makes it a powerful tool for financial advisors to deepen relationships with their existing clients, while gaining access to a much larger number of prospective clients with a built-in basis for starting a conversation with them. I suspect that Everplans will prove to be a gamechanger for many independent advisory firms. — Read For Families With Special Needs, Listening Is Key for Advisors on ThinkAdvisor.